A culture of continuous improvement has allowed this Mudgee business to expand rapidly. 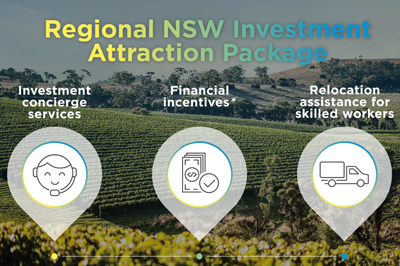 Good transport links in regional NSW have allowed competitive businesses to gain access to markets across Australia. The internet has also given these businesses easy access to customers thousands of kilometres away. The Doolans Group of companies is one of the NSW businesses taking advantage of these trends. 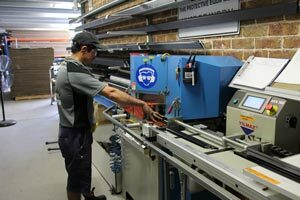 Based in Mudgee, they are the largest manufacturer of Abra security screen doors, marketed under the Panther Protect brand. Doolans also manufactures other lines of security and fly doors. Doolans sells its doors to locksmiths and other resellers, as well as direct to consumers in the DIY market. The bulk of their customers are in Sydney and Melbourne, but good roads make it equally cost-effective to be located in Mudgee as Sydney. "We can courier a door to Sydney for $25, but if we were in Sydney it would cost the same to deliver to an outer suburb like Manly," Managing Director Keith Doolan said. The Doolans Group has used e-commerce to extend its market reach across Australia. "With customers turning to the internet, you have to embrace change and be willing to reinvent yourself," Mr Doolan said. The company's websites have proved so successful that it is now pushing into "drop shipping", where it takes orders for related security products such as roller shutters and locks. These orders are then passed on to Doolan's partner manufacturers who ship them directly to the buyer. The Doolans Group participated in the NSW Government's Lean Manufacturing program in 2009. The program encouraged businesses to innovate, with staff members attending monthly meetings to generate ideas to improve the productivity of their business. The program encouraged the Doolans Group to embrace e-commerce. It also led to efficiency improvements, including a redesign of the factory layout. With a more streamlined operation and increased orders from the company's website, the Doolans Group ramped up production from about ten screen doors a week to over 120 in 2013. Staff numbers also grew from five employees to 15. "The Lean program was amazing, we had so many ideas from staff," Mr Doolan said. "It allowed us to develop much more rapidly." The department also provided assistance through a regional business expansion program to help the Doolans Group with initial costs as it scaled-up production.